We celebrate together with good food, fun games and great fellowship! 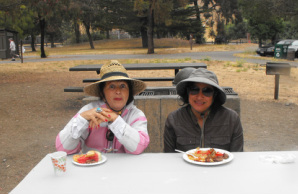 Our next picnic will be on Sunday, August 26th right after our church service. Wear your picnic clothes to church!! Bring a dish to share and we will supply the meat and drinks. Picnic lawn games for the young and old! This year it will be held at Miller Knox Park in Pt. Richmond.